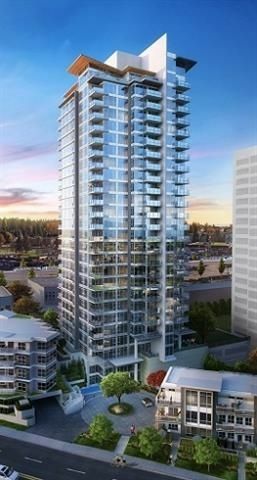 This northwest corner penthouse unit is located at "The Crown" built by Beedie Development Grp. Breathtaking views of Burnaby and North Shore Mountains from every angle. Access your private outdoor entertaining space from every room in the unit. Three good size bdrms. Master ensuite includes double sinks and walk in shower. Open concept living/dining rm. Features include laminate flrs, double height ceilings, roller shades, quartz countertops, s/s appliances & gas range, soft close shaker style cabinets, under mount sinks, soaker tub, gas bib on patio, plus a/c. Building includes over 3,500sf of indoor & 2,400sf outdoor amenity space. Minutes away from Burquitlam Skytrain Station, SFU and Lougheed Town Centre. Move in 2017!